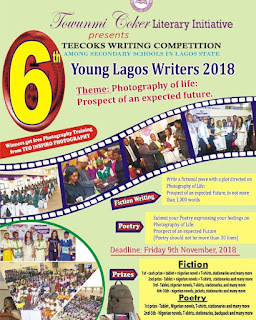 Towunmi Coker Literary Initiative (TCLI) 6th Teecoks Writing Competition for Secondary Schools Students in Lagos State, See Prizes and Competition Guidelines. 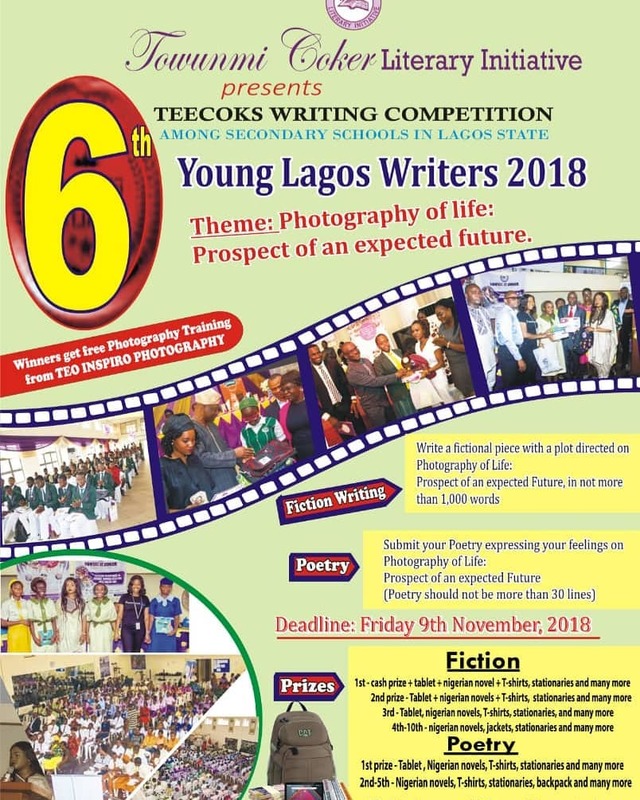 The writing competition is among students in secondary schools in Lagos state. Schools that are willing to participate and have not received any letter from us should please not hesitate to reach out to us. It will be a great delight to have you participate and we would not hesitate to send the requirement for participation to interested schools.